Life with a toddler and a baby is busy. I am breastfeeding my new daughter. She is a bit of a cluster feeder, which means that I am often in my chair feeding her for long periods of time. Breastfeeding makes me extremely hungry, as well. Making food for another human being is hard work! I needed to come up with a way to have food available for my toddler and I to grab quickly when one of us needed a snack. 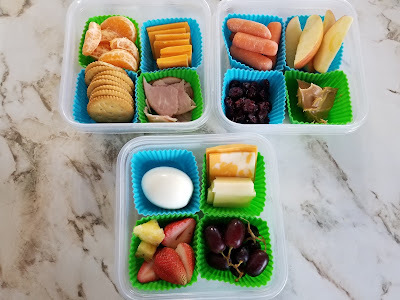 I decided to make bento box style snacks to have available in the fridge. 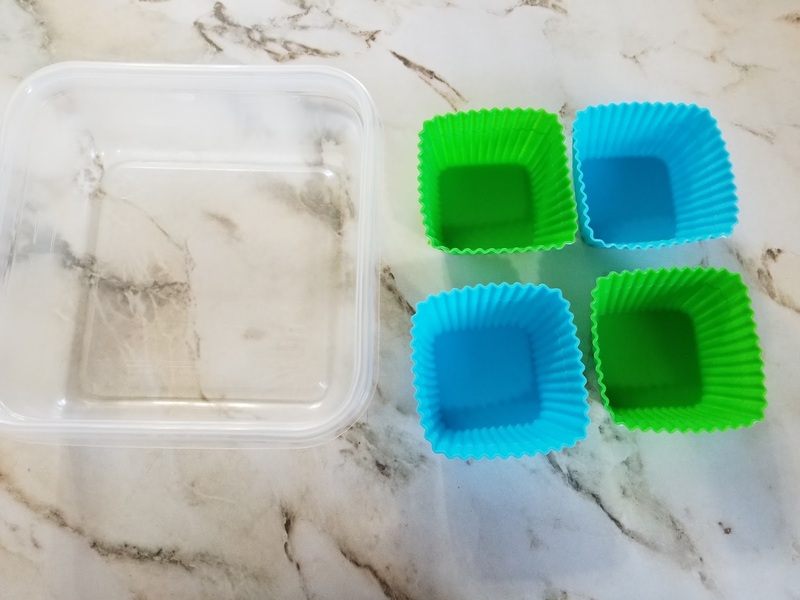 I purchased silicone baking cups and Ziploc containers to make my 'snack boxes'. I do my best to fill them with nutritious food that will keep me satisfied. I try to have a fruit or vegetable, a fat and a protein in each snack box. When I have time (usually during my youngest daughter's afternoon nap), I prepare the boxes and put them in the fridge. They are easy to grab when we need something quick to eat and they provide the nutrition that we require.